Submit Your Event Questions? Give us a shout. 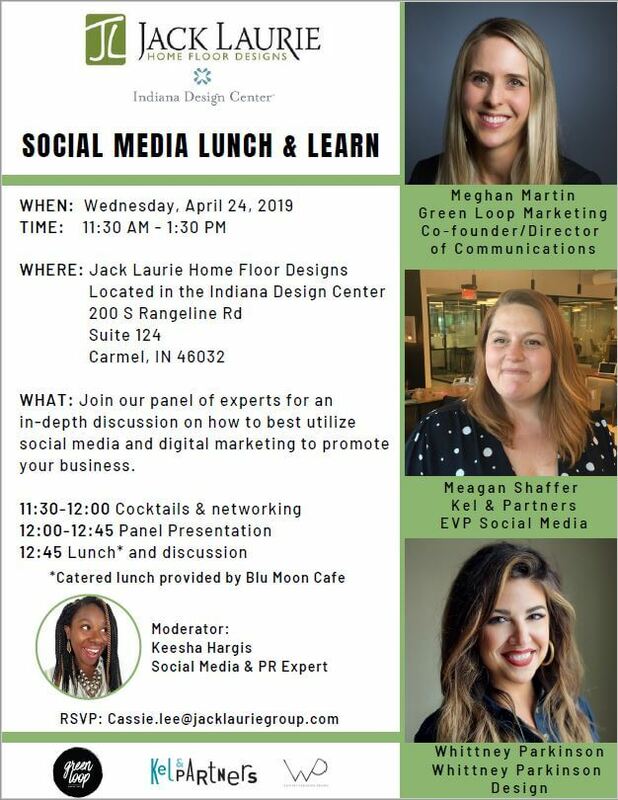 Join Jack Laurie Home Floor Designs and a panel of social media experts as we discuss how to utilize social media platforms and digital marketing to best promote your business. Arrive at 11:30 for networking and refreshments, and stay for the panel presentation at noon. Panel will be followed by a group discussion. The panel will be moderated by Keesha Hargis, Social Media & PR Expert. RSVP to Cassie Lee at Jack Laurie Home Floor Designs.